The Andlor ART system provides analysis of Client patterns over selected periods, highlighting for example Revenue/Square Foot, Turns and Labor Revenue/hour, Revenue Trends, On Time Shipments and fill rates. ART allows the application of User Selected Revenue Codes to Revenue billed and the Revenue/hour models. ART provides specific reports as requested by Clients on an ongoing basis. 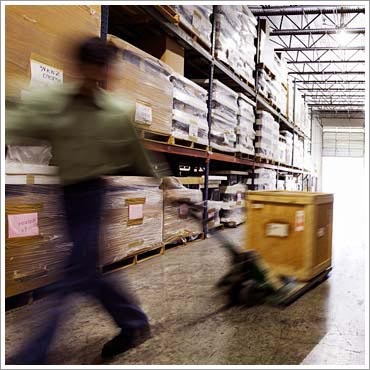 Reports can show graphic visualization and data over the period(s) selected and can be filtered by Warehouse location. Reports can be downloaded to PDF, HTML, XML, XLS , RTF, OCDT and Excel Formats. Reports can also be saved to the Cloud. EDI Track module showing the actual data transmitted in the EDI Transaction sets (940, 945, 856, etc) with a hyper-link to the corresponding warehouse documents (Warehouse Receipts and Orders). Andlor released a Document Printing, Scanning and Archival System which is fully integrated with the WMS suite of software. This module automatically uploads scanned documents (BOLs, Warehouse Receipts, Invoices, Pro Bills, etc.) to the E-Track system for WEB visibility and retrieval. The documents can also be archived to the server.